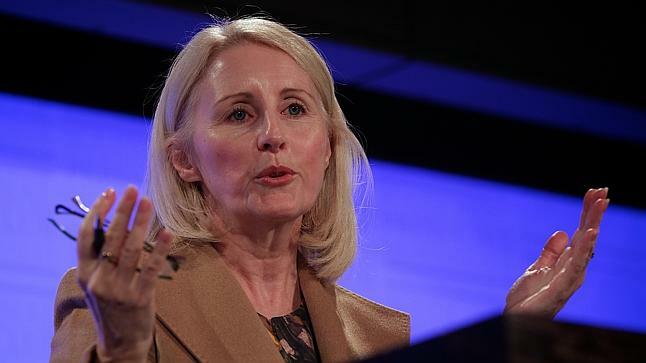 With Prime Minister Tony Abbott acknowledging that he can’t guarantee that university fees might not double, University Australia chair Sandra Harding says that there are “grave risks” in a precipitate move to fee deregulation, set to take place in 2016. As the new fee regime will apply to all enrolments after 14 May 2014, students enrolling after that date will not know the fees that will apply from 1 January 2016 until such time as universities announce their fees. In order to provide some degree of certainty and inform student choice, some universities, outside the Group of Eight, at least, may be forced to make an early “stab” at price settings. But as Harding points out, a stab is not the marketplace working efficiently. A set of stabs, with some getting their settings right and others failing, will help shake out the marketplace, but at what cost to students, their families and to the integrity of the higher education system when it is possible to move ahead in a more considered, timely and respectful manner? 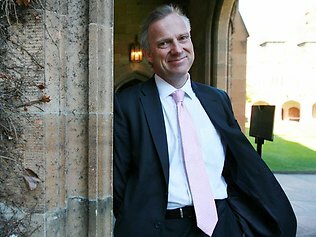 Meanwhile University of Sydney vice chancellor Michael Spence, a supporter of uncapped fee deregulation, has added his voice to to the call for a “national conversation” on the proposed reforms to higher education to ensure access to the “elite universities” is on the basis of academic merit alone. And University of Adelaide vice-chancellor Warren Bebbington, another supporter of fee deregulation, has warned the proposals risk amounting to “misregulation” rather than deregulation. In an email to students, Bebbington said the government’s plan to impose interest rates on HECS debts by using the 10-year bond rate risked causing a crippling debt problem and was “unduly harsh”. Amid this growing unrest among vice chancellors concerned that the reforms are being rushed and are unfair to students, the government is ramping up consultation with the university sector. A number of working groups have been established to advise education minister Christopher Pyne on how to implement the reforms, including one on “innovative financing options for university infrastructure” to be chaired by former University of South Australia vice chancellor Denise Bradley and Education Investment Fund chairman Phil Clark. The fog has lifted on the Government’s intent on higher education reform but implementation on the ground is a real pea-souper. Lest the pea soup engulf the orderly development of a new higher education system which the Government expects to be the best in the world, implementation issues must be addressed before it is introduced. The Government has now committed to an extension of the demand driven system to non-university higher education providers (NUHEPs), at a lower rate than universities in recognition of the additional obligations attaching to universities including public good obligations and research, and to fee deregulation applied to Australian domestic students. The Commission of Audit and author of the review of the demand driven system report, Andrew Norton have both called for consultation before introducing fee deregulation. Despite this advice, layered on top of the extension of the demand driven system to NUHEPs comes the big ticket item of fee deregulation including significant cuts in the government contribution to per student funding; with universities set to raise fees to at least cover the shortfall; HELP loans for students with lower income thresholds for repayment and interest rates; and scholarships for disadvantaged students to be paid from higher student fees. The new system takes effect ostensibly from 1 January 2016, but with a 14 May 2014 ‘start’ date such that students enrolling from last week can be subject to fee hikes from January 2016. In a business sense for universities, the change takes effect immediately. This immediate start timeframe means that universities must move quickly to determine their fee position, or leave Australian students who are considering commencing study in mid-2014 in the dark about what they’ll be up for come January 2016. There are grave risks here. Universities are being asked to set fees in an unprecedented market environment. While we have experience setting fees for postgraduate course work programs and for international students, these fees are set in a fairly mature marketplace, disciplined by past experience and known competitive pressures. The domestic, undergraduate marketplace of the Government’s intent is unprecedented, with old and new players, new financial incentives, new rules for student debt repayment, new scholarship arrangements and more. So what will universities and NUHEPs do about informing students and their families about their obligations if they are looking at enrolling now – not in 2015 or 2016? As informed decisions about this are hard to make in the context of an emerging market with few market signals to guide price setting, universities and NUHEPs will either simply tell prospective domestic students who are considering study from mid-2014 that their fees will go up in January 2016, but not indicate the fee level, or they may take a stab at price setting. Not being able to inform students of the fee implications of their programs is almost certain to give pause to students who might otherwise enter university mid-2014, particularly mature age students whom we know from the UK experience are sensitive to fee changes. We provide better guidance than this to international students. Indeed, universities typically advise the marketplace of fees to be applied a year ahead and then either commit to a possible annual fee increase within some percentage range or declare a fixed price at enrolment. This means that entering international students can make an informed decision about their study choice. This is what we would want for domestic undergraduate students and it begs the question why we wouldn’t show Australian students the same respect now, with appropriate advance notification of the specifics of prospective price rises. Those institutions that do wish to give some guidance on fees for current, prospective domestic students, will have to have a stab. In having a stab, universities may match their domestic student fees with international student fees. After all, the international market has been tested, it is the only undergraduate fee paying market at scale we have access to and we understand our niche there. If not this, universities will have to come up with their own formulation most likely based on costs and assumptions rather than market dynamics. Having declared a price point – more likely many price points for various programs or subjects – and given the immaturity of the marketplace for domestic full fee paying students, it is highly likely that forecast prices will be wrong with a market impact that may have to be unraveled. What all this means for the student contract with universities is unclear. A stab is not the marketplace working efficiently. A set of stabs, with some getting their settings right and others failing, will help shake out the marketplace, but at what cost to students, their families and to the integrity of the higher education system when it is possible to move ahead in a more considered, timely and respectful manner? Establishing an efficiently operating marketplace will take time and effort. It will take account of the impact of extension of the demand driven system to NUHEPs and sub-degree places, price signals sent and received, understanding the new HELP and scholarship arrangements, some market testing of price sensitivity with particular student segments. A reasoned and sensible approach to a developing marketplace just cannot be achieved immediately – which is the implementation task set by Government given the 14 May effective start date. A date at the beginning or mid-2015 is required. As events in the recent past have shown, undue haste and poor execution poses grave risks to even the soundest policy intent. This op-ed piece was first published in The Australian on 21 May 2014.